Awwww. Now this is how you melt America’s collective hearts. Stars get requests all the time to meet with sick and dying fans. Unfortunately, these requests aren’t always able to be fulfilled. But sometimes, oh sometimes, the stars (as in the ones in the sky) magically align, things click into place, and something amazing happens. This is one of those times and it involves Blake Shelton. Hey, we feel ya, Brenda. 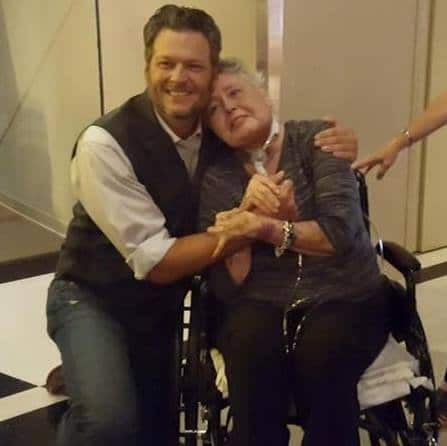 On Saturday, the hospice announced that tickets were secured for Brenda to attend Blake Shelton’s concert yesterday, June 6, at the Country Music Hall of Fame and that people were working hard behind the scenes to surprise her with a meeting with “The Voice” coach. And guess what! Everyone came through and Brenda got to not only see Blake in concert, but to meet him in person. 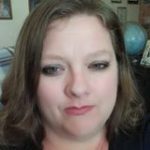 Now that is the look of a woman in love. This is definitely how you do celebrity right. Good job, Mr. Shelton. Good job. Of course cameras were there to capture everything! Shocker!! Come on, it’s a nice story. Don’t try and turn it into something not nice.